Striking the balance between its storied past and limitless future, The Plaza is the ultimate New York City luxury hotel. Located at the intersection of Central Park and Fifth Avenue, it's easy to explore the best that this iconic city has to offer from The Plaza. 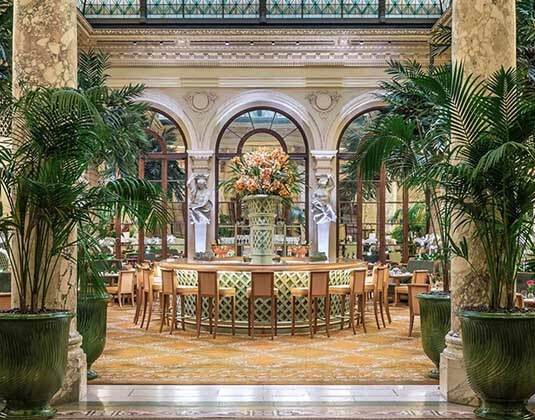 Visit the Palm Court for traditional afternoon tea, head to the legendary Rose Club for evening cocktails and jazz or sip fine wines at the Champagne Bar. In standard rooms with TV, DVD, seating area, iPads to control room environment and access guest services, hairdryer, iron & ironing board and safe. 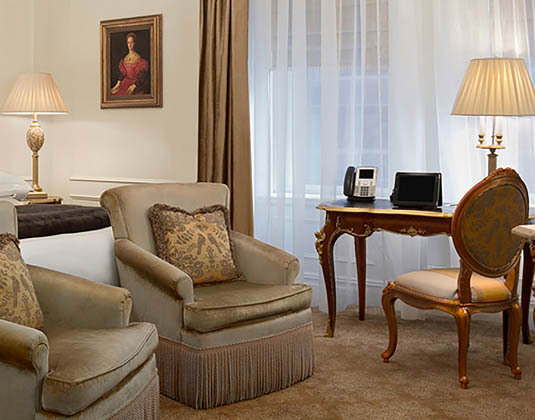 Deluxe rooms which are more spacious.